year by inviting them to renew their vows at all the Masses on Saturday and Sunday, February 9th and 10th. 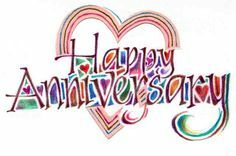 If you and your spouse areregistered parishioners, celebrating “milestone” anniversaries of 15, 20,25, 30, 35, etc., or more years of marriage sometime during this year (in 5 year increments), please call the parish office at 981-1333 to register for the Mass time you will be attending that weekend (Sat.4:30 PM, or Sunday at 8 AM, 10 AM, or 12PM). Your name/years will be in the Chancellor and you will receive a special blessing.